PRPP postponed to a day earlier. As Bro Ethan off for 2 days. Started to rain after setting up shop. First to hit the fishes and the biggest catch of the night was Ethan. "i fishing in the rain". Up came a beautiful gao. I went to the pump area and look for my kcs, "knock knock no bite." So i went to the old spot after they said come register small bites. Then everything is the same liao. Managed to hit another seven during the last hour. wow seh! golden carpet again! 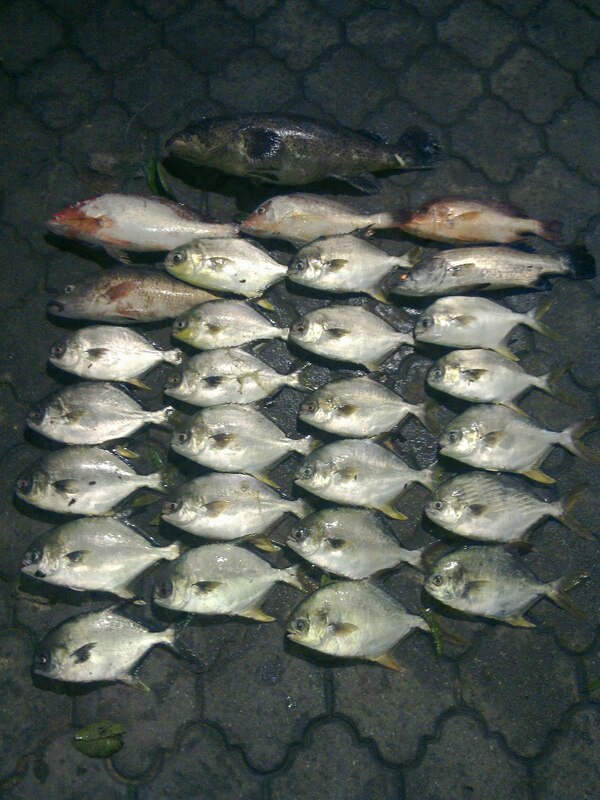 Should come join us fo fishing during the night,don't go clubbing lah.